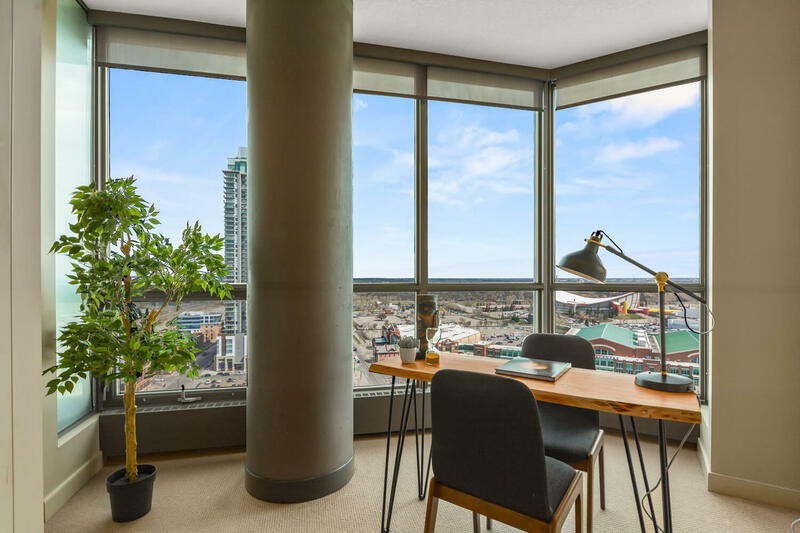 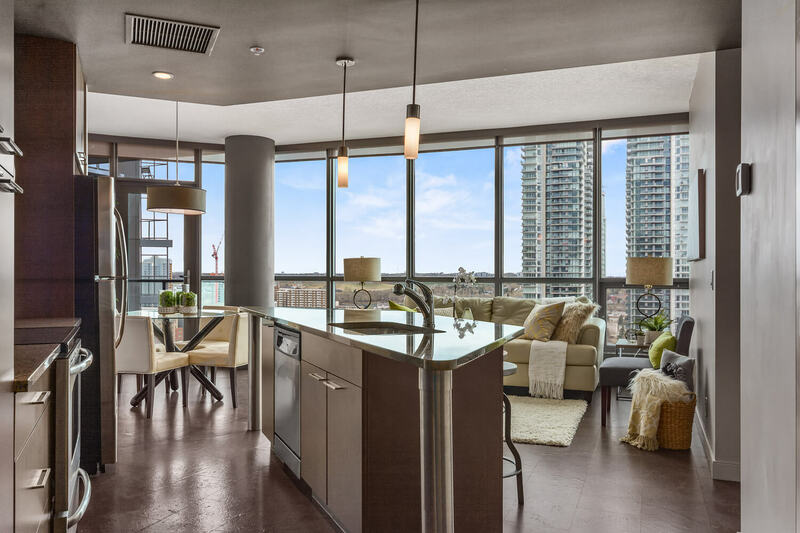 Not your average square box in the sky, this twentieth-floor residence enjoys strong angular lines and a light-filled, contemporary aesthetic. 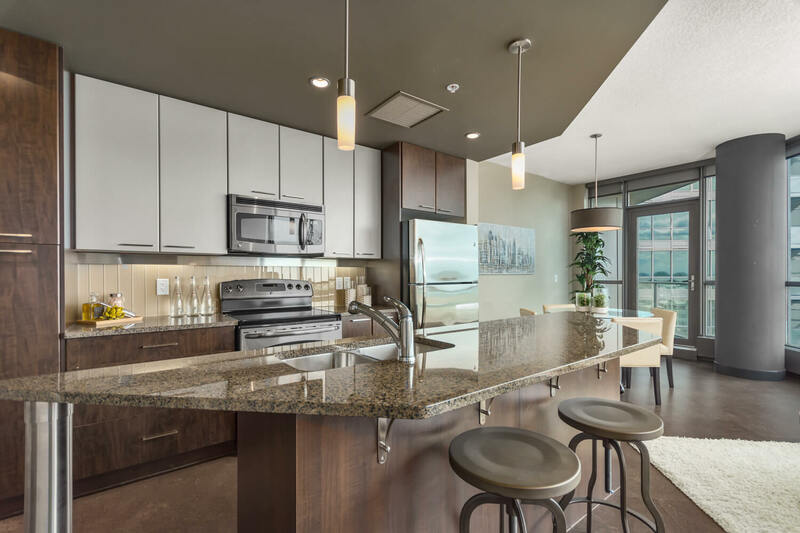 Beautiful dyed cork flooring runs throughout the main living area while the kitchen features complementary granite countertops & dark wood cabinetry. 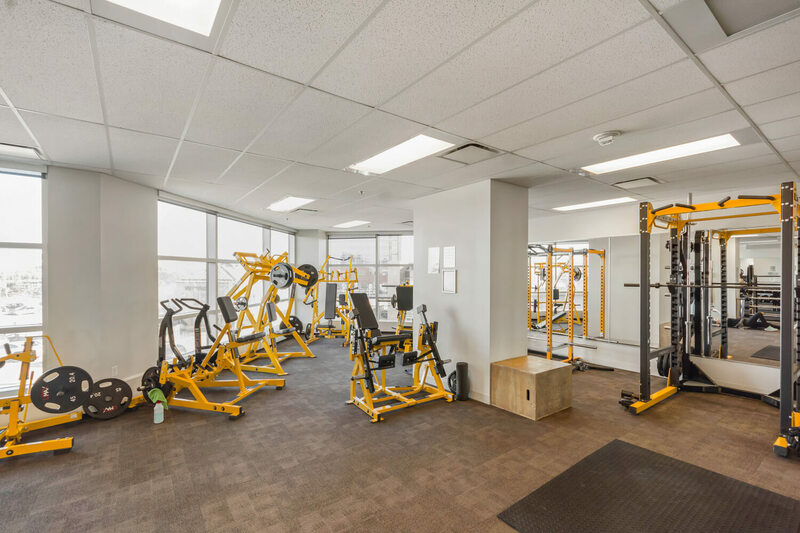 Also note the titled underground parking stall, fitness centre, guest suite, sky park, and owner’s lounge. 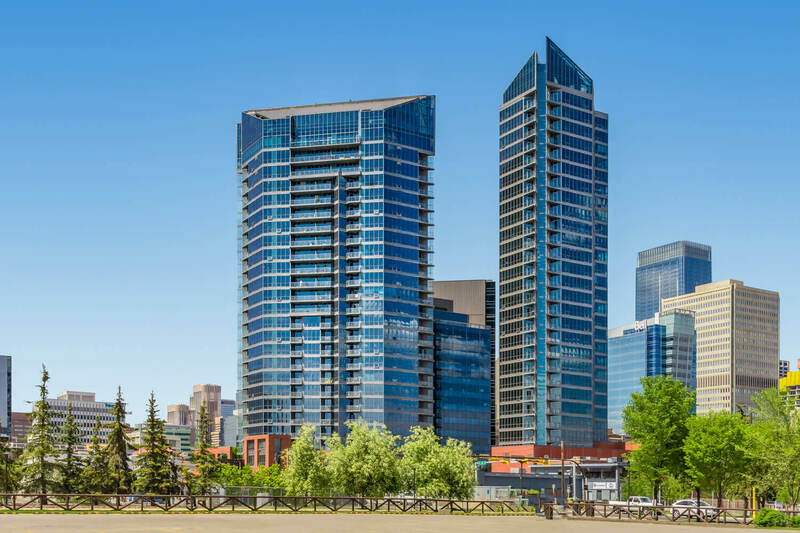 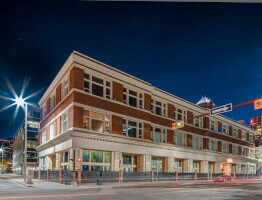 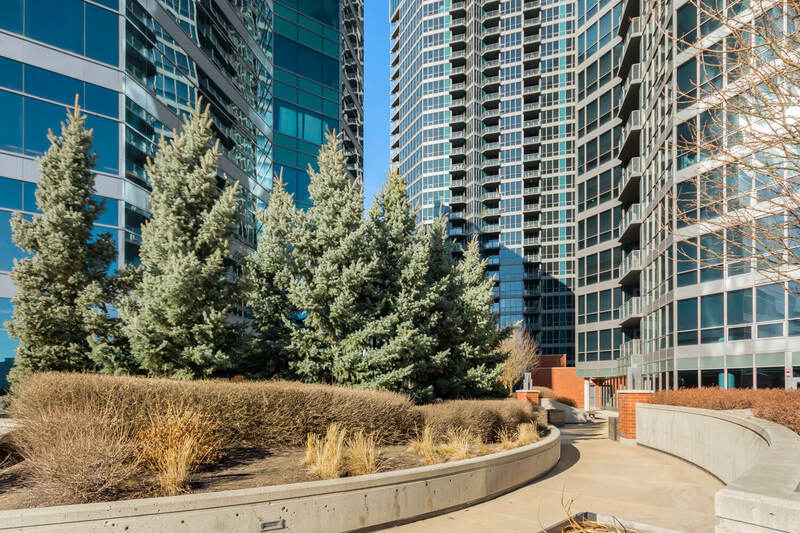 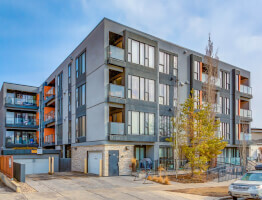 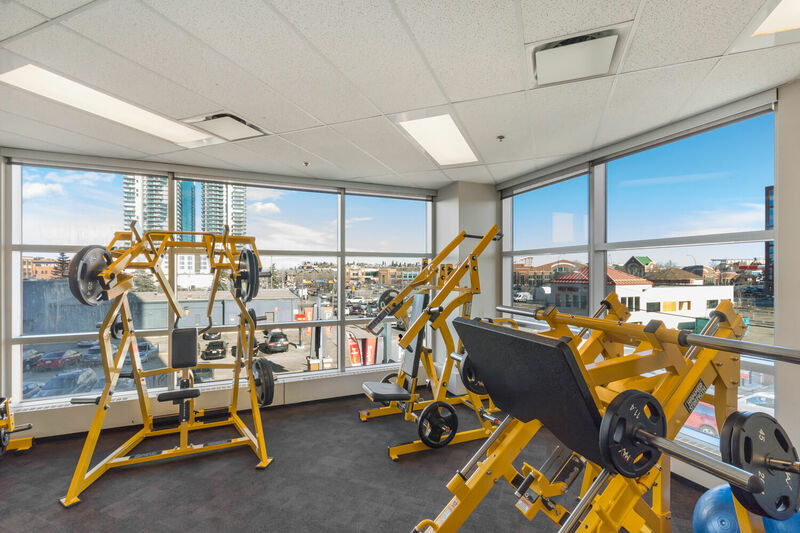 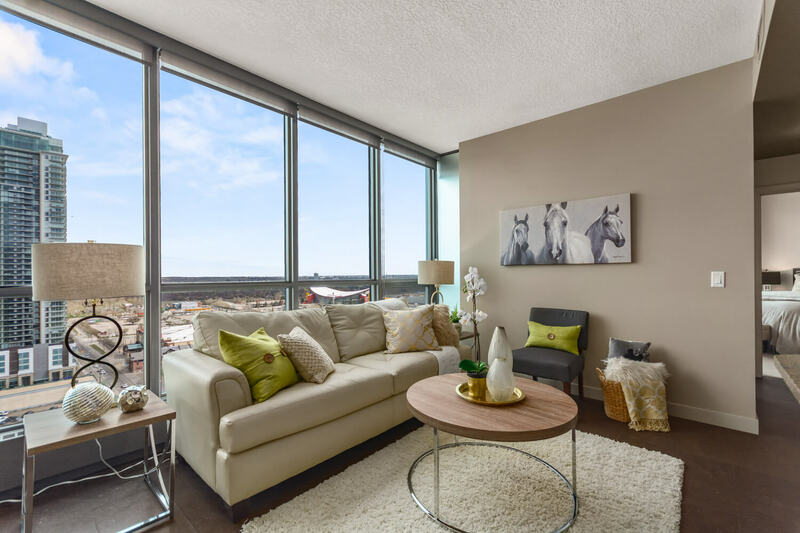 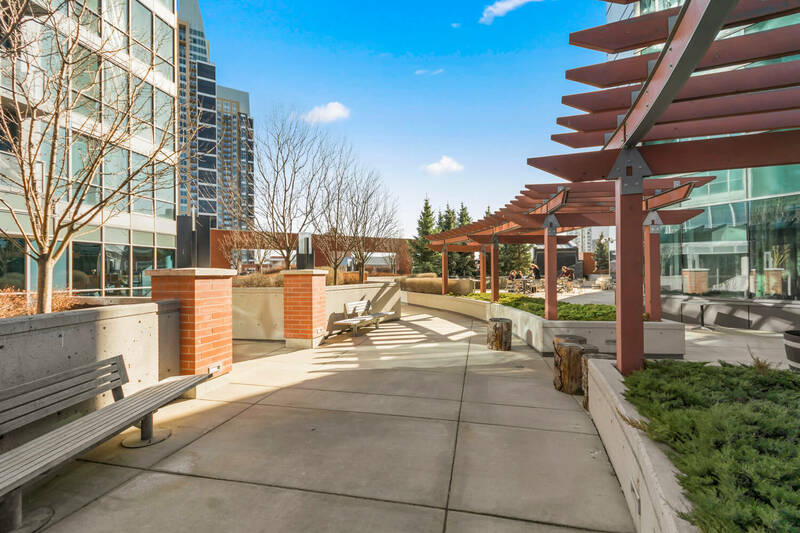 One of Calgary’s only true mixed-use developments, the Keynote complex combines residential, office, and retail spaces into one fashionable development set on a single city block. 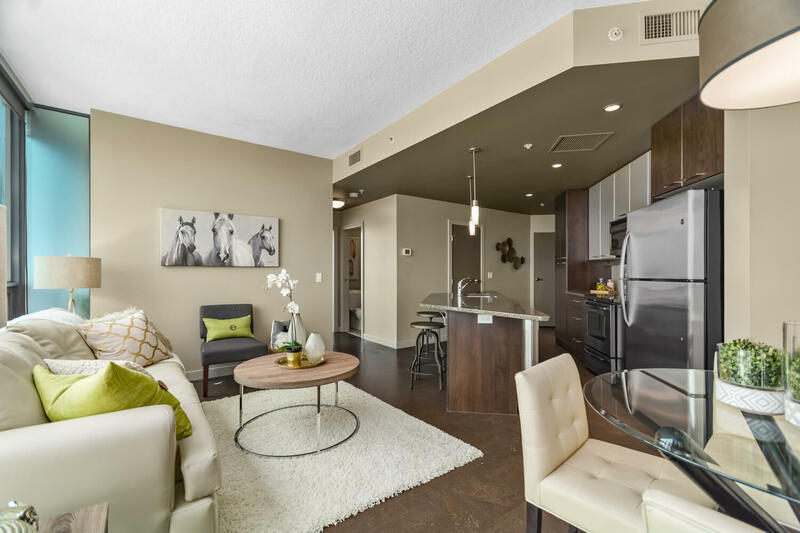 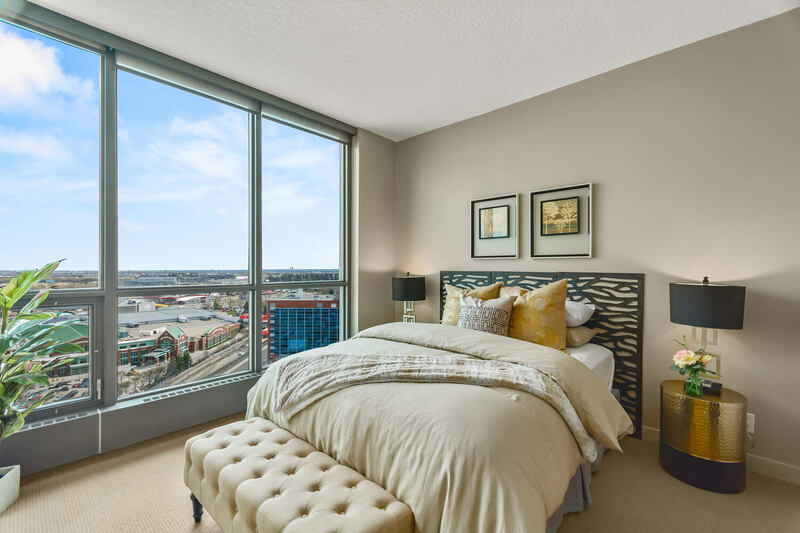 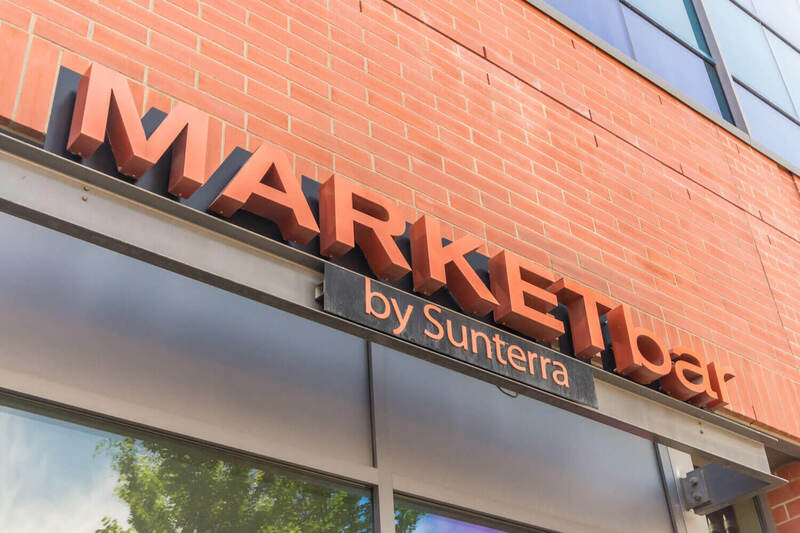 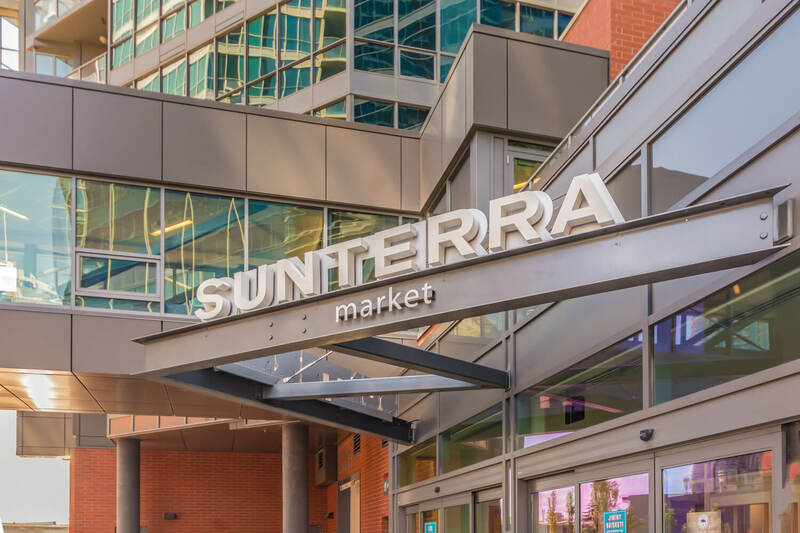 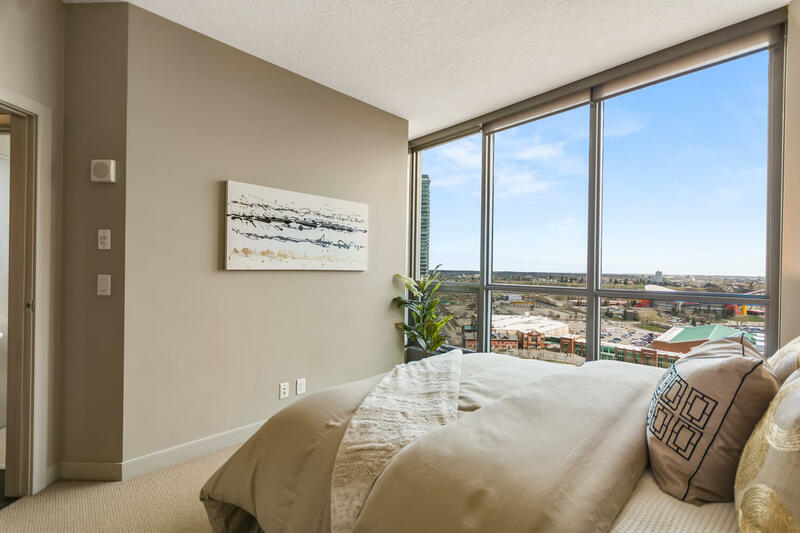 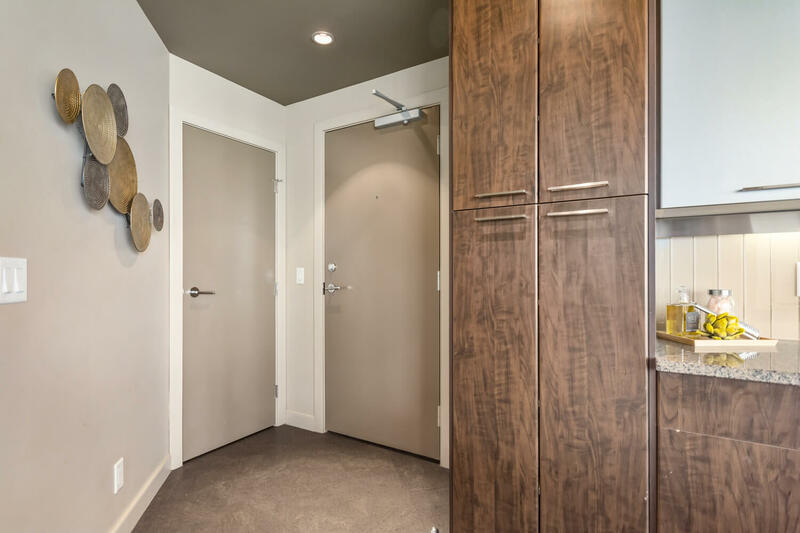 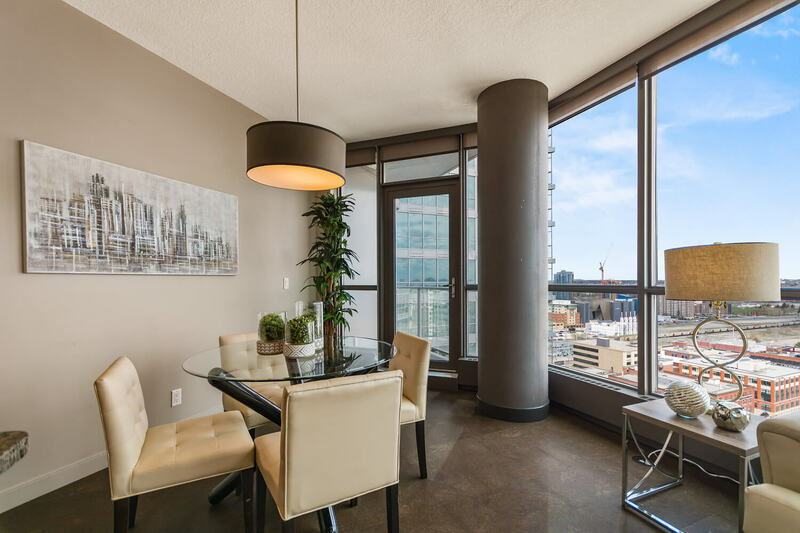 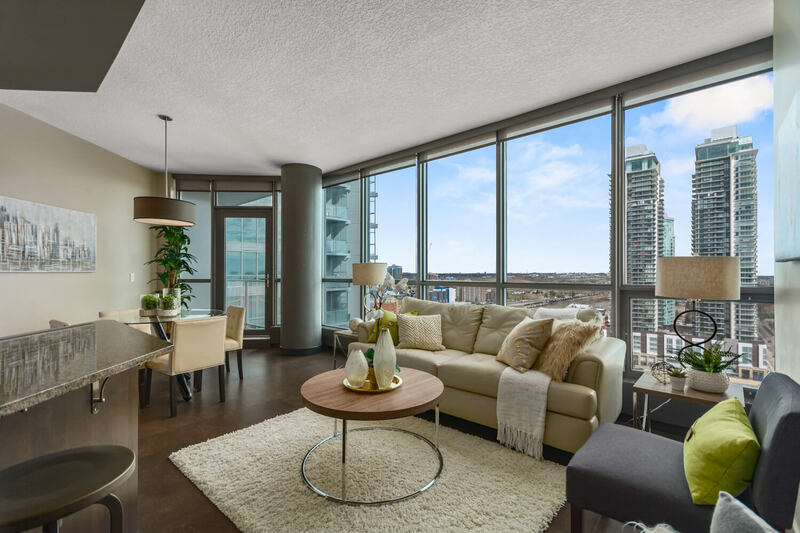 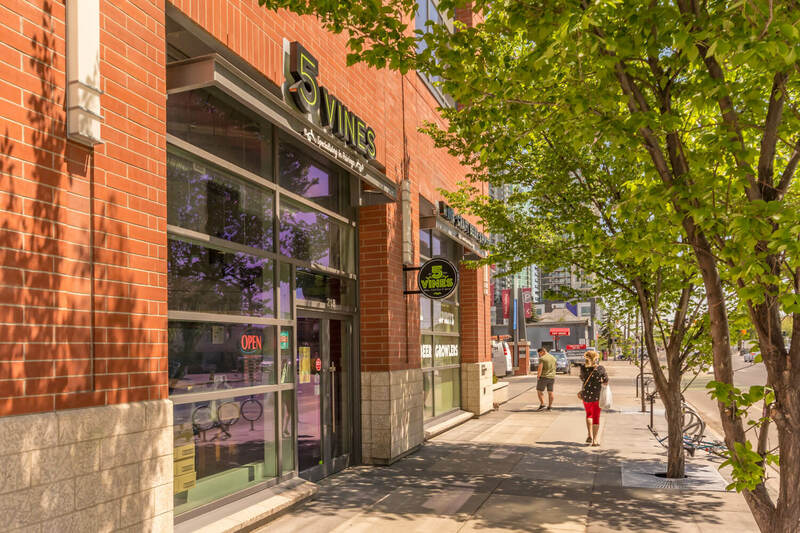 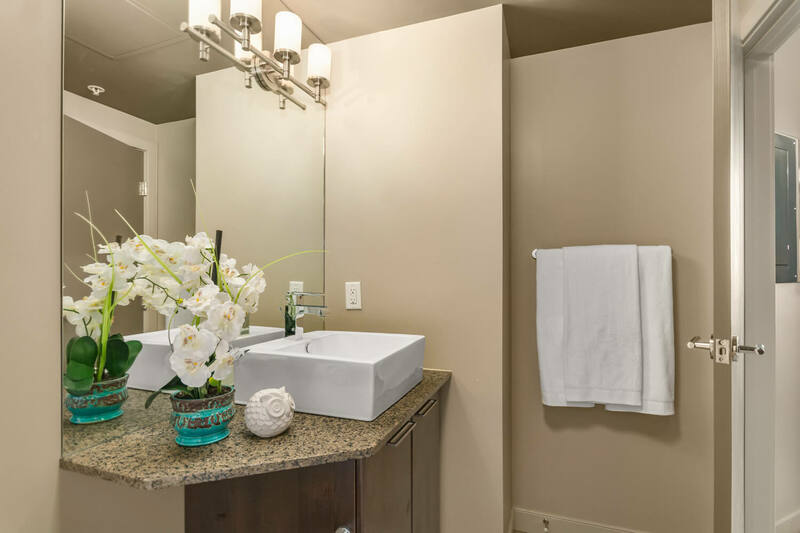 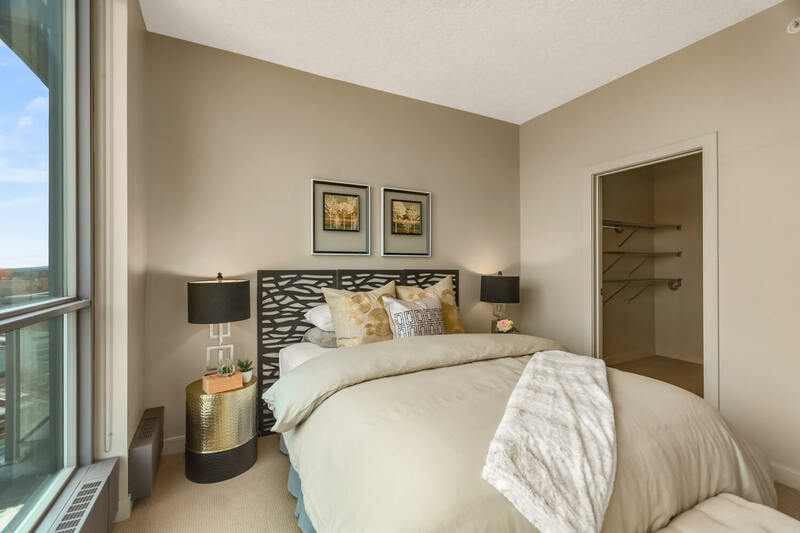 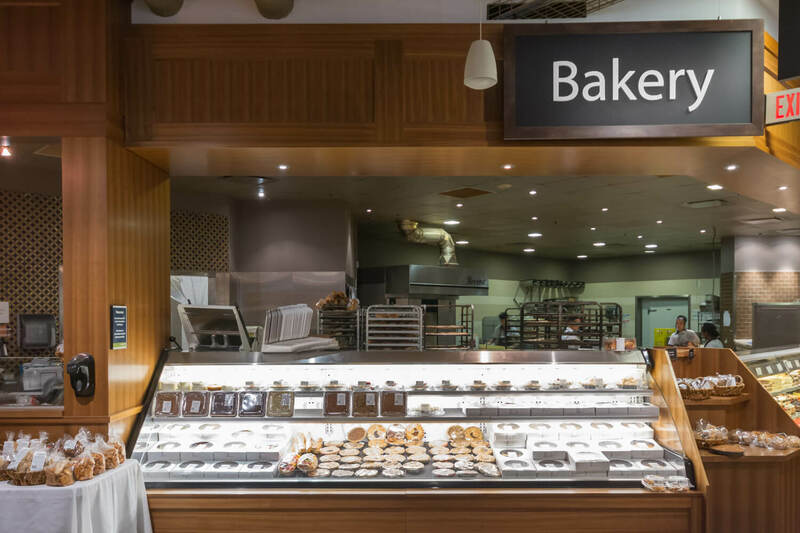 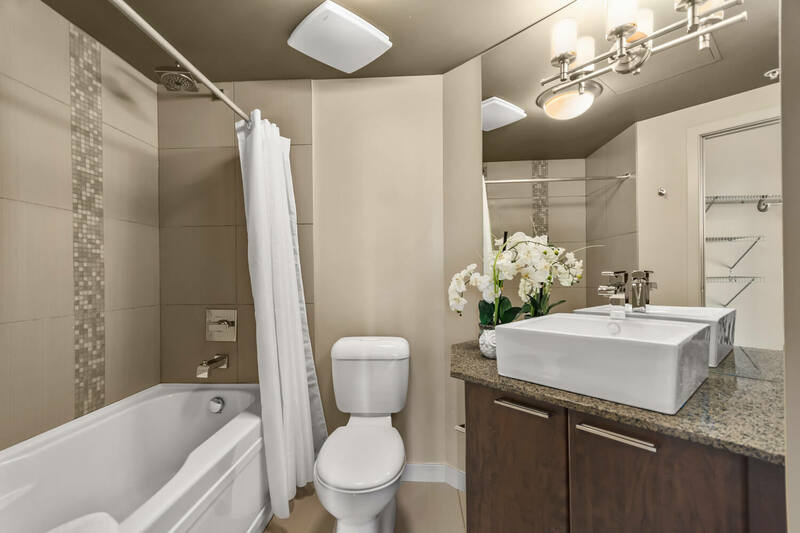 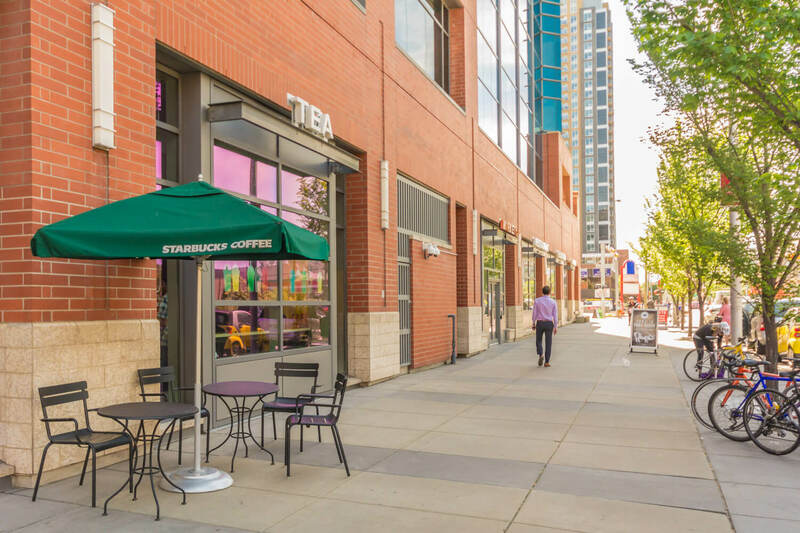 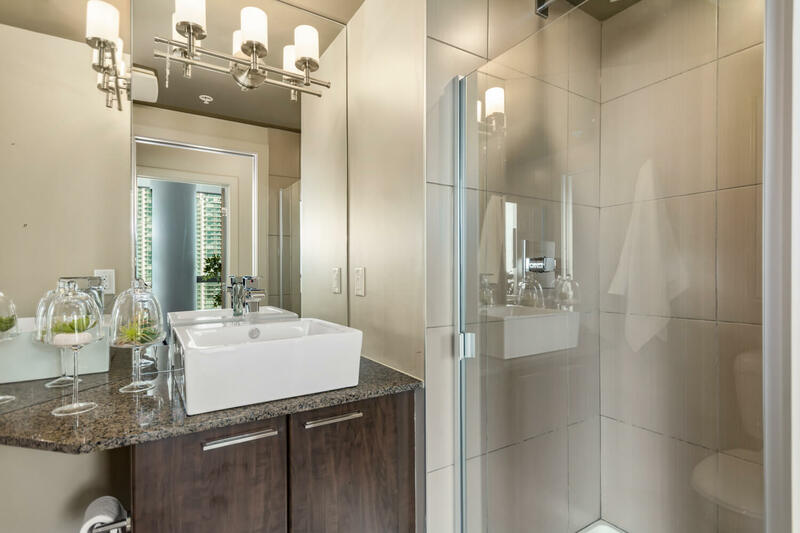 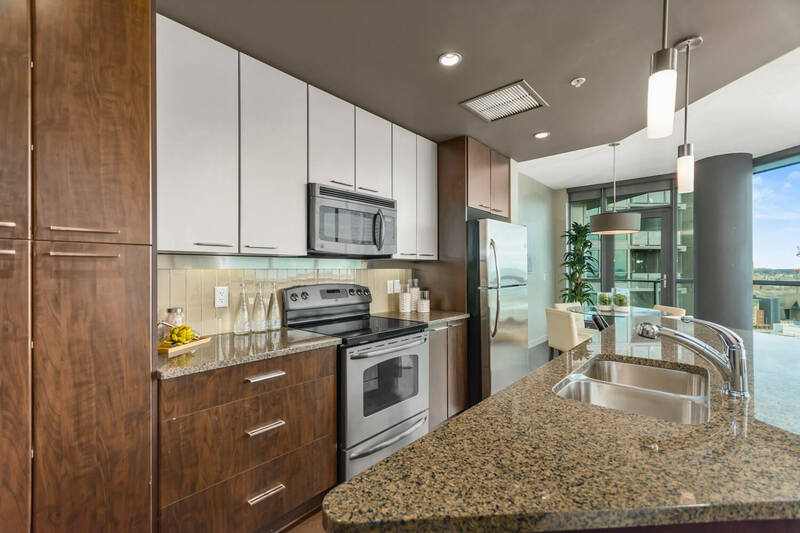 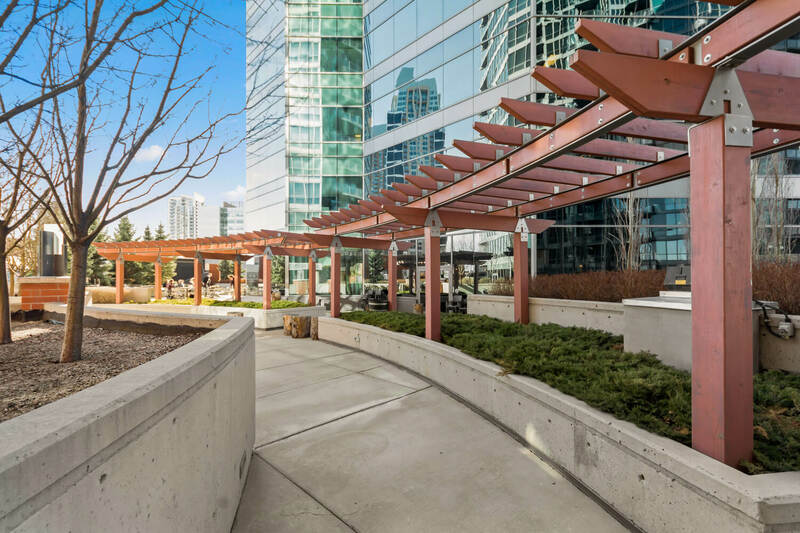 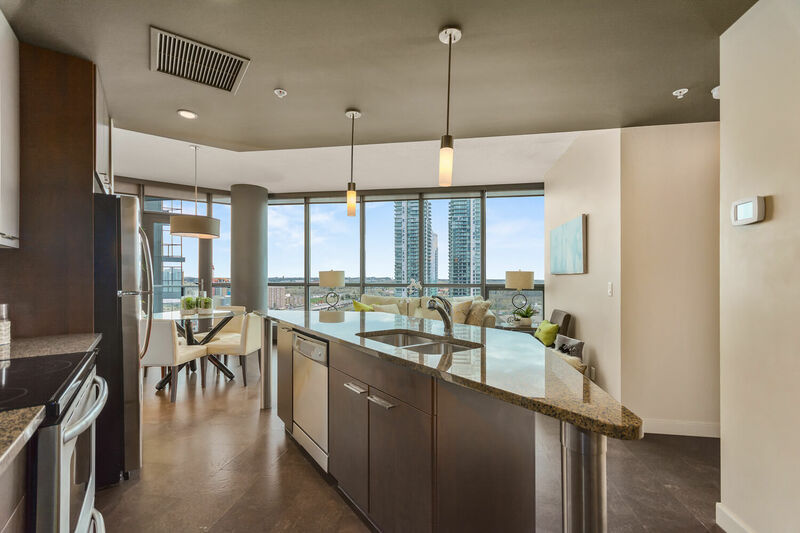 At the podium levels, residents enjoy convenient access to Sunterra Market, Starbucks, banking, MarketBar restaurant, 5 Vines wine boutique, along with being within easy walking distance to Downtown with all its amenities.